The ridge is the characteristic feature of the breed of Rhodesian ridgeback. The ridge is a strip formed by the hair growing in the opposite direction to the rest of the coat. A ridgeback's ridge is always there - from birth on. Ridge does not grow in over time nor is it only present when the dog is excited or otherwise stimulated. Current research shows,that the ridge is a dominant trait – that is, only one parent needs to have a ridge in order for it to be passed down to offspring. 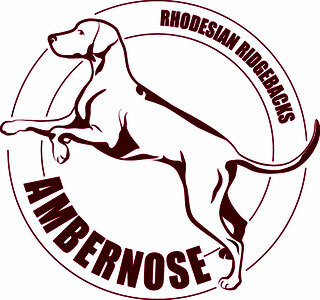 Ridgeless Rhodesian ridgebacks don't carry the ridge gene at all, and cannot produce ridged offspring. 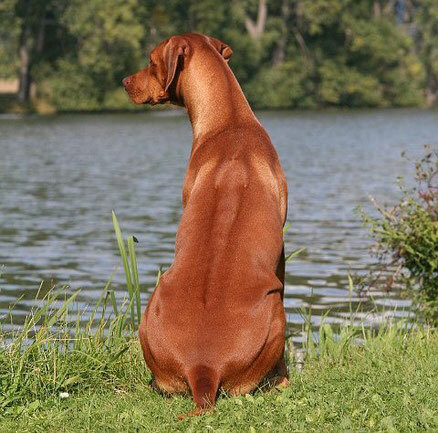 If a ridgeback has a ridge, he is either carrying two copies of the ridge gene (homozygous), or just one copy (heterozygous). In both cases the dog will have a ridge. In general, not having a ridge is the normative state in dogs, while the ridge gene is a dominant mutation that makes the ridged dogs different. 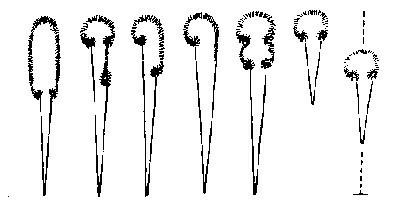 The ridge should start immediately behind the shoulders with the widest part and taper evenly towards to the hips and it should contain two identical whorls (crowns) directly opposite each other. 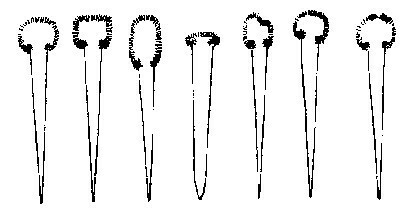 The lower edge of the whorls should not extend further down the ridge than one-third of the ridge. There may, or may not, be a ‘box’ above the whorls and the box may vary in shape from dog to dog; any shape is acceptable. Sometimes dogs get extra whorls or less than two whorls - these dogs are not "show-quality" but they are still true ridgebacks by their nature. 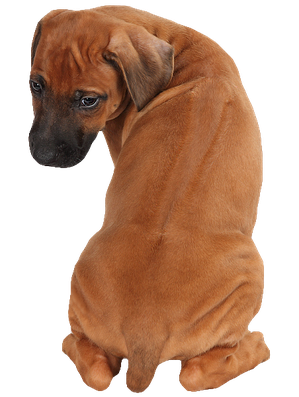 The ridgeback’s ancestor, the Hottentots’ dog, had one unusual feature that set it apart from all other dogs and it gave this characteristic to ridgebacks - that was a ridge of hair that ran down its spine, the hair turned forward in the opposite direction than the rest. Several lesser-known breeds also have a ridge the Thai Ridgeback and the Phu Quok Dog. What the connection was, if any, has been lost in the passage of time. Correct ridge. BISS, European Winner 08, INT & MULTI CH Hillvalley's Angel for Luanda, owner and picture copyright M.Krchnava.